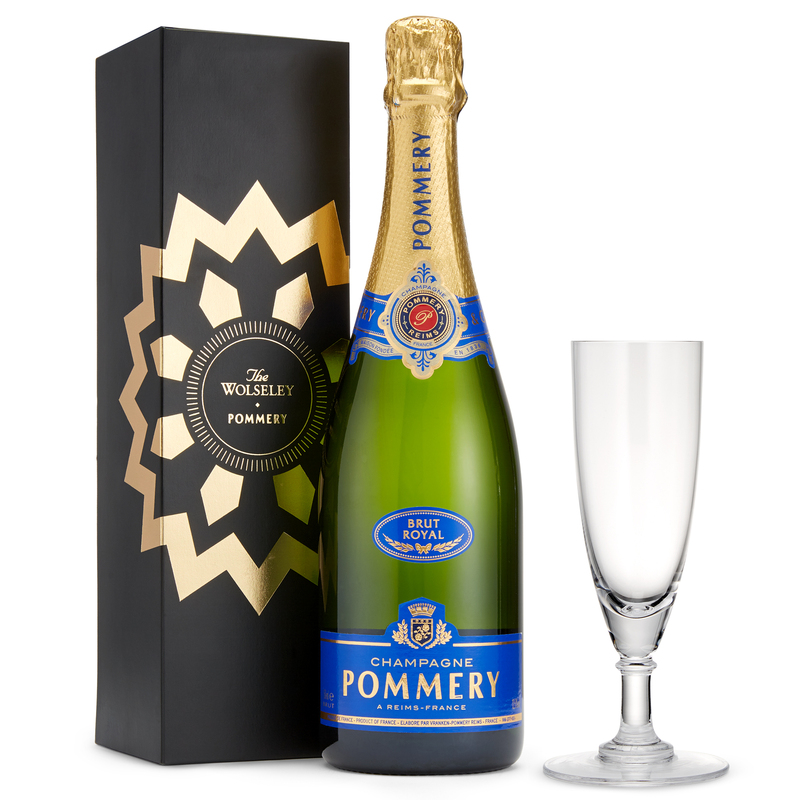 For a special occasion, The Wolseley and Pommery have come together for the most celebratory of gifts. 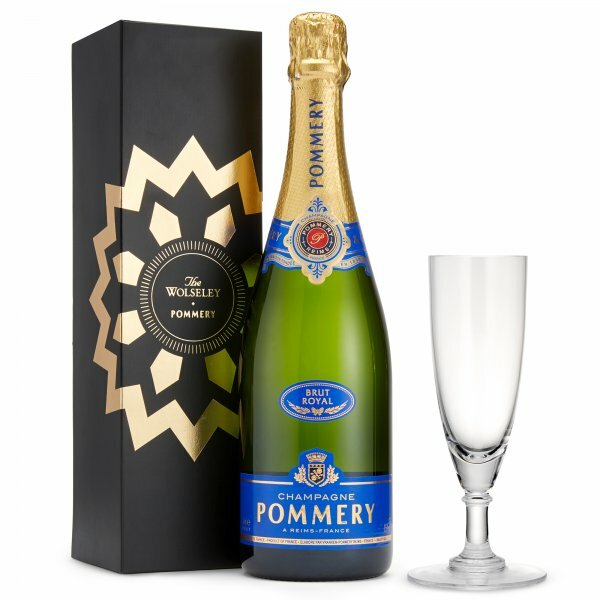 A bottle of Brut Royal NV sits inside a bespoke gift box inspired by the detailing of The Wolseley’s iconic marble floor and each flute is made by hand using traditional glass blowing techniques, delicately engraved with The Wolseley monogram on the base. Please note that these glasses are handmade so there may be some variation in the dimensions.